Our Skype singing lessons and Skype voice training lessons are guaranteed to bring out the best in your voice! We teach all levels from absolute beginners to advanced singers, all styles at any age. 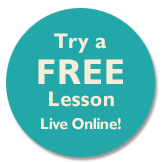 After you submit your enquiry for a free trial online singing lesson, Tracy will get back to you by email to arrange a time to meet for a chat over Skype, answer any questions and to arrange your free trial singing lesson. Singing lessons for Alex was the logical next step after she had so enjoyed her song writing and music composition work with Music Lessons Anywhere’s teachers. 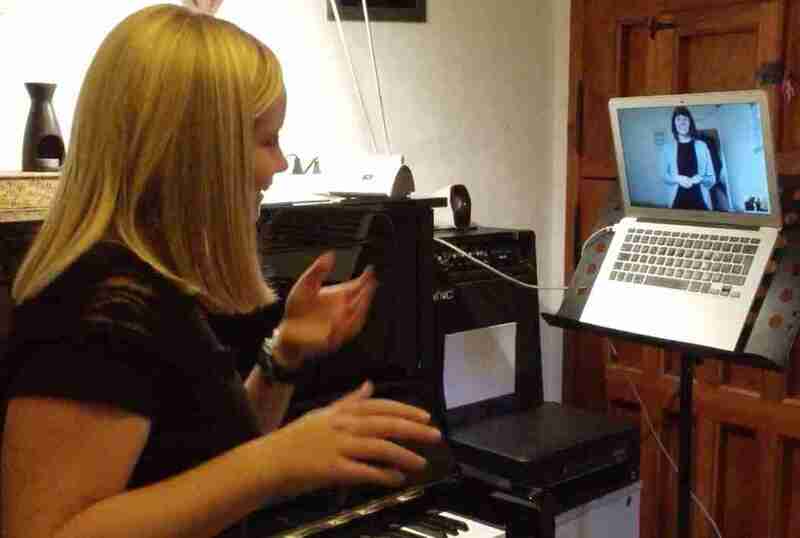 She was keen that the vocal delivery of her songs did justice to the lyrics, so when Carol Hodge joined the Music Lessons Anywhere team, we signed up to weekly Skype sessions. It only took a couple of sessions for Alex to start singing with greater confidence and to get the hang of singing from her diaphragm. She also learned about the importance of getting her body warmed up and relaxed before singing. In fact, by the end of just the first lesson, Alex’s voice sounded stronger and her delivery much more controlled. Carol’s tongue twister challenge was great fun – a proper cuppa coffee from a proper copper coffee pot – and had us all having a go, but it demonstrated the importance of exaggerating the mouth shape when singing. As Carol explained in her detailed lesson notes, this technique, which she describes as learning to use the mouth as a cathedral, leads to bigger shapes and therefore more resonance. Alex is now starting to work on breaking the melody of a song down and building it up again, with the aim of having both brain and body perfectly pitched. And she can’t wait to cover some of the songs of her favourite singers and bands, as well as to work with Carol on more of her own compositions. Even a beginner can improve their singing very quickly when they’re taught in the correct way. We can help you with your breathing, technique and provide you with all the skills to help you to sing with confidence! Each student’s needs are different, so all our Online Singing Lessons are uniquely tailored to each student’s specific needs. 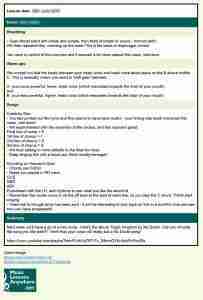 We provide you with all the materials you need such as backing tracks, lyric sheets, sheet music, etc. We can help you to sing your own songs and even help you write your own songs. Our singing teacher, Carol Hodge, is based in the UK. She qualified as a teacher in 2007 and started her career teaching Drama to young children all over Manchester (UK), before progressing to running city centre college courses in TV and Film Production, and Music. She became a teaching coach at The Manchester College in 2014. Carol has been singing professionally for almost 20 years. Having fronted a variety of rock and punk bands since the age of 15. Read more about Carol’s biography here. The energy and enthusiasm Carol presents is infectious. She has the skills to bring out and develop the best in students. From the very first lesson Carol transforms the voice, boosts confidence and students flourish. With her experience as a drama teacher, Carol can also help you to improve your delivery of your song and if you are a performer or wish to take to the stage, she can help you to develop your stage presence. Carol can help singing groups and choirs. If you are just starting out with your own singing group and would like professional guidance, or you have an established choir, we can help! Carol makes online singing lessons fun! The price of our Online Singing Lessons for individual students (live one-to-one tuition) is £30 per hour. Our Online Singing Lessons can also be managed for groups of students based in one location, or you and your friend/s from anywhere in the world can meet to share the lessons live online. The cost for Online Singing Lessons for groups is £40 for an hour shared by two students or £50 for an hour shared by 3 to 5 students (maximum 5 students to a group lesson). Music Lessons Anywhere student Alex, taking an online singing lesson with online singing teacher Carol Hodge. Join Carol’s Online Vocal Boot Camp! 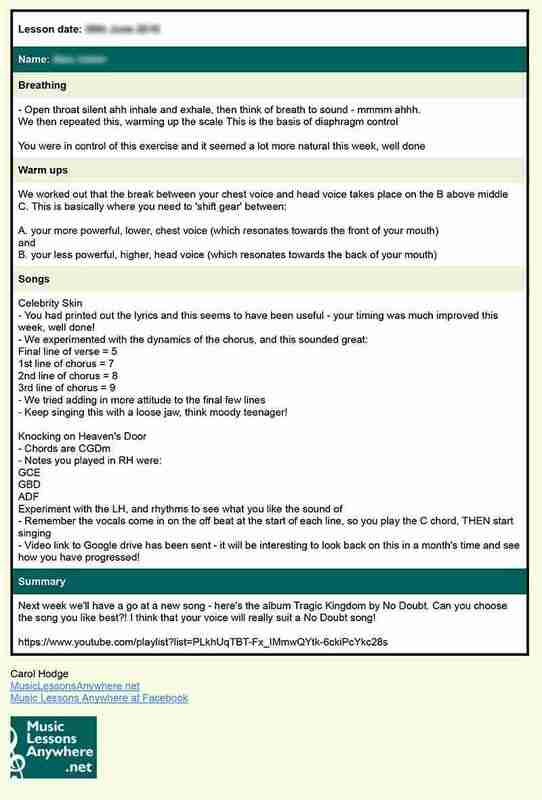 More information and booking for Carol’s online Vocal Boot Camp here.